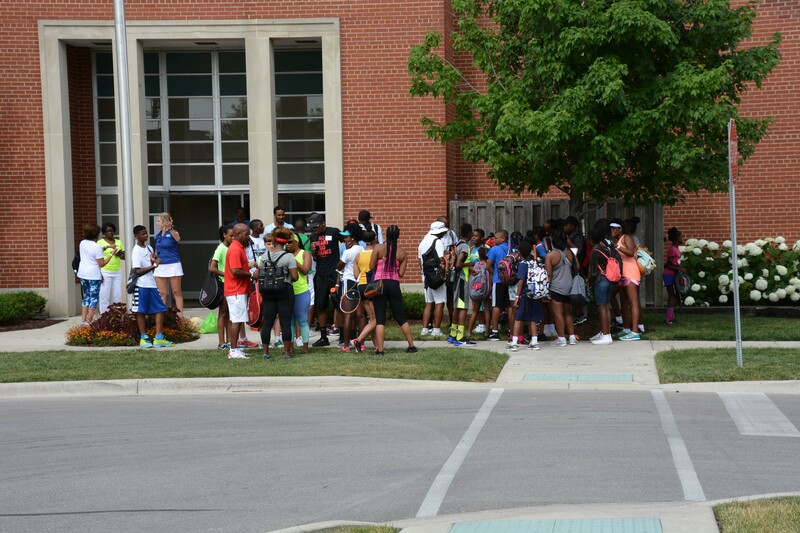 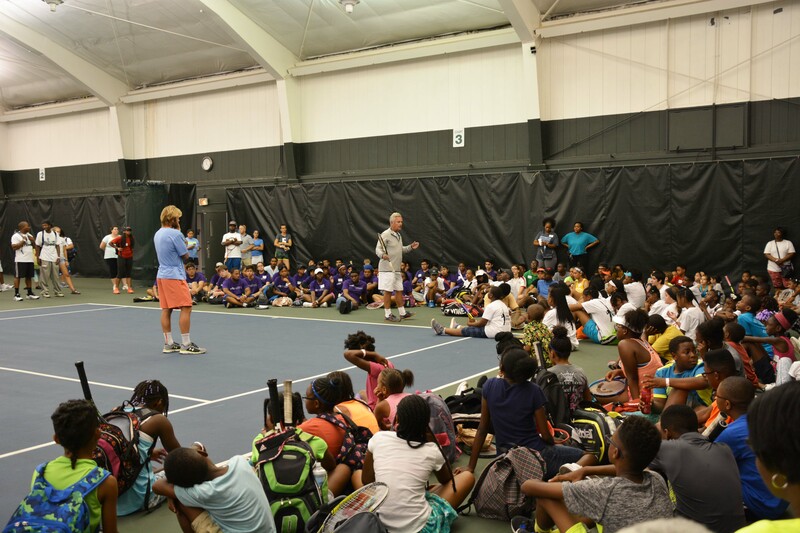 The 3rd Annual CDTA Kids Day was held on Thursday, July 7 at the A. C. Nielsen Men’s Pro Tennis Championship in Winnetka, IL. 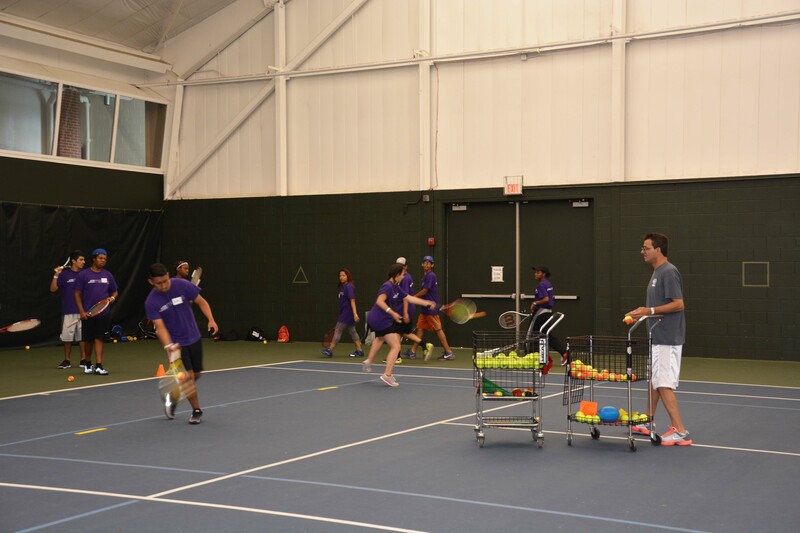 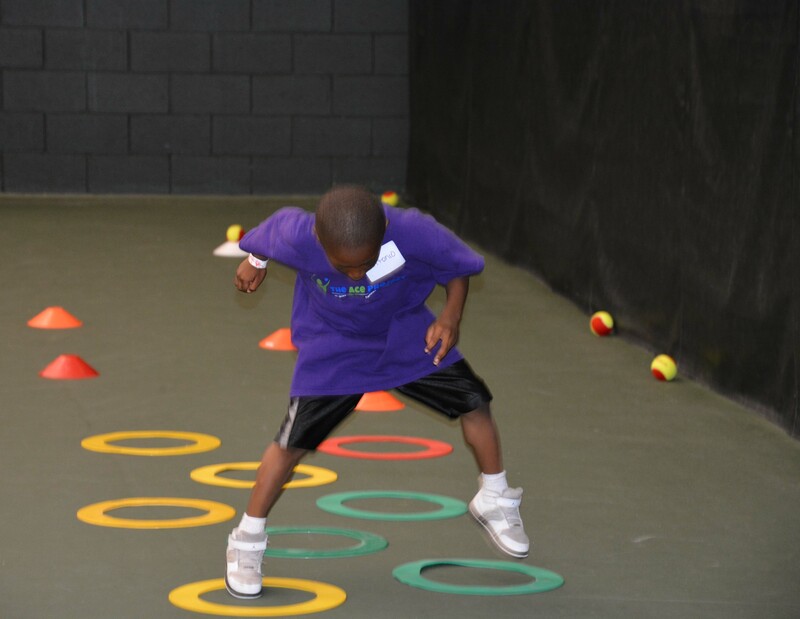 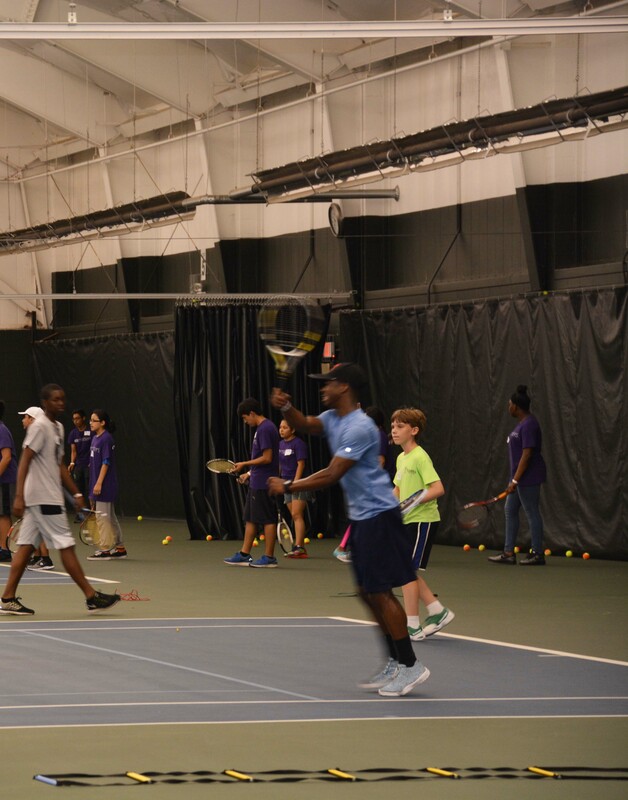 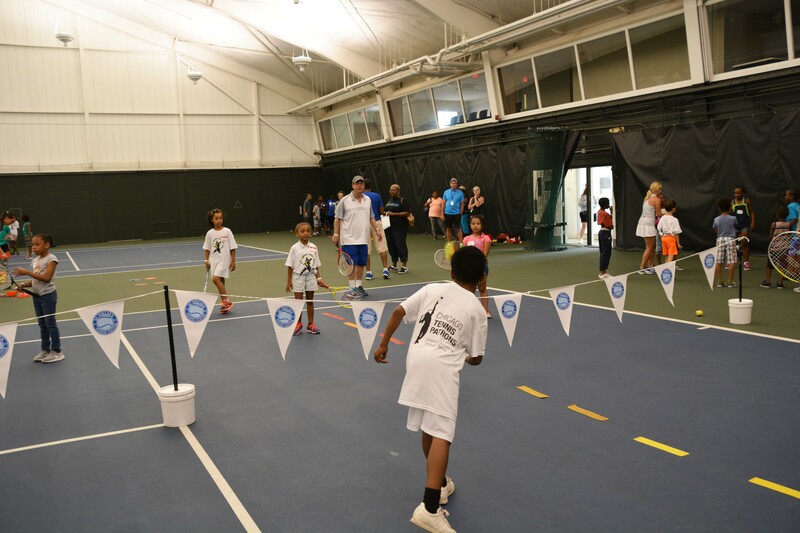 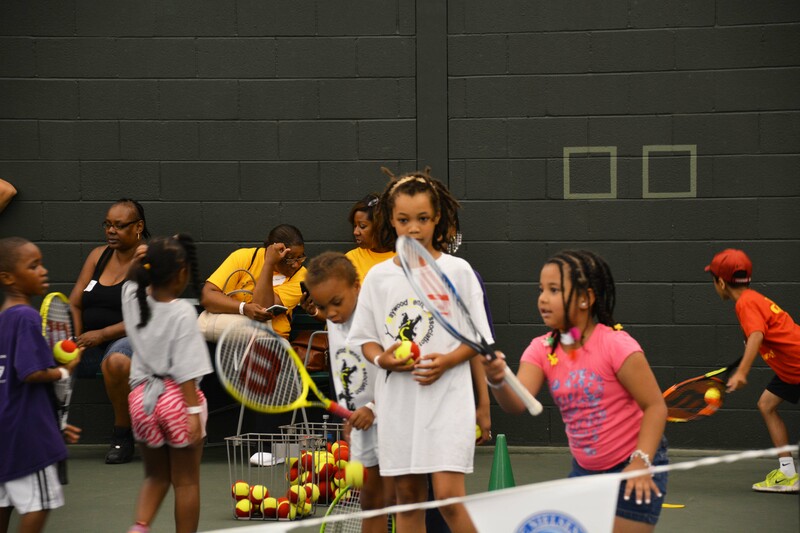 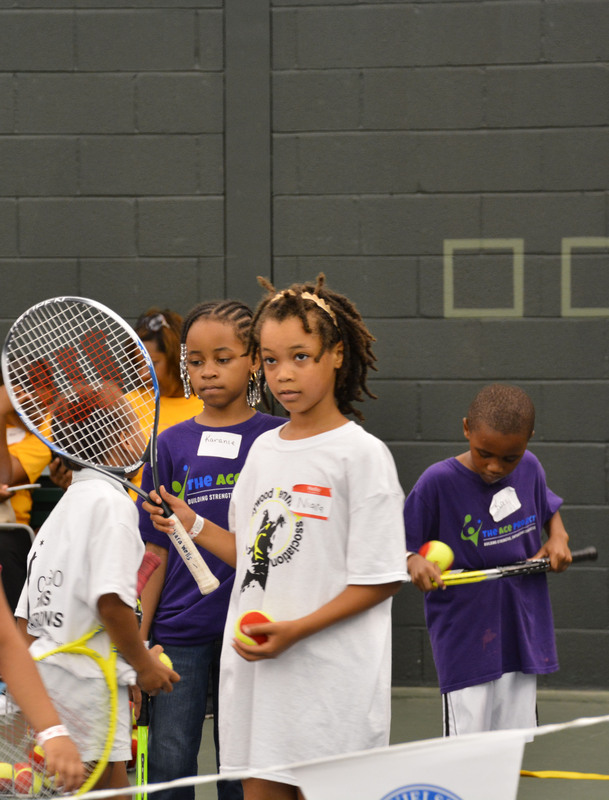 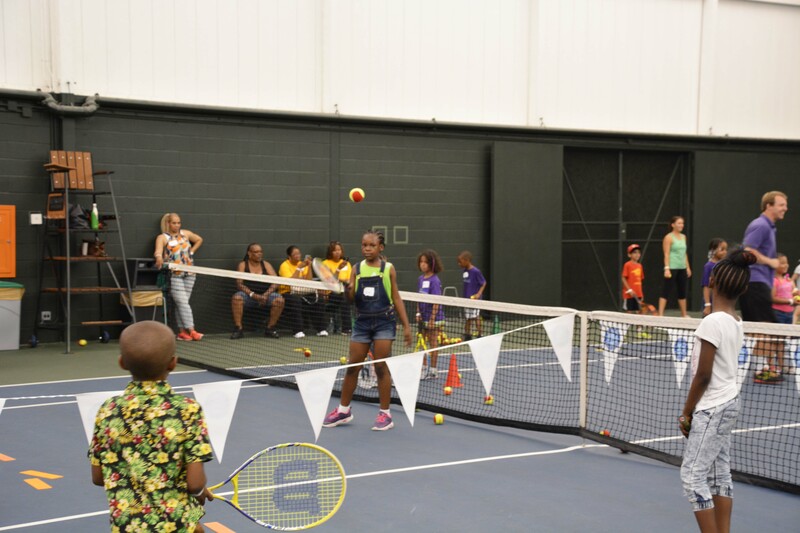 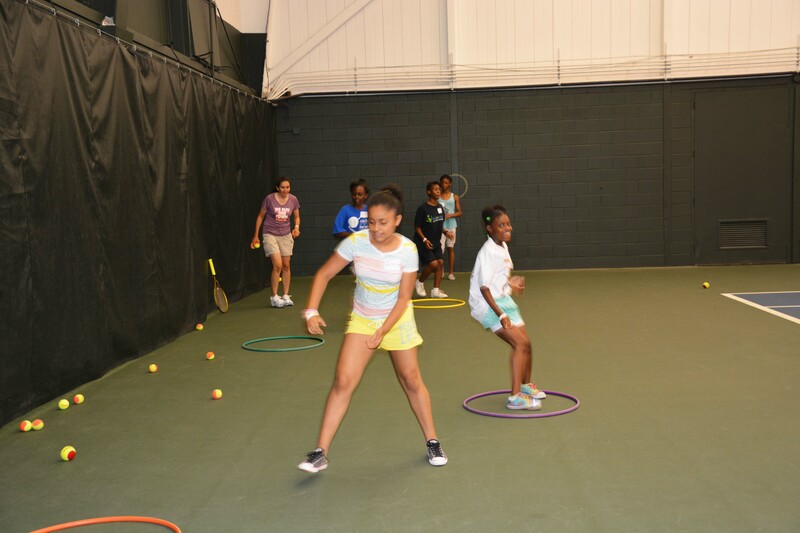 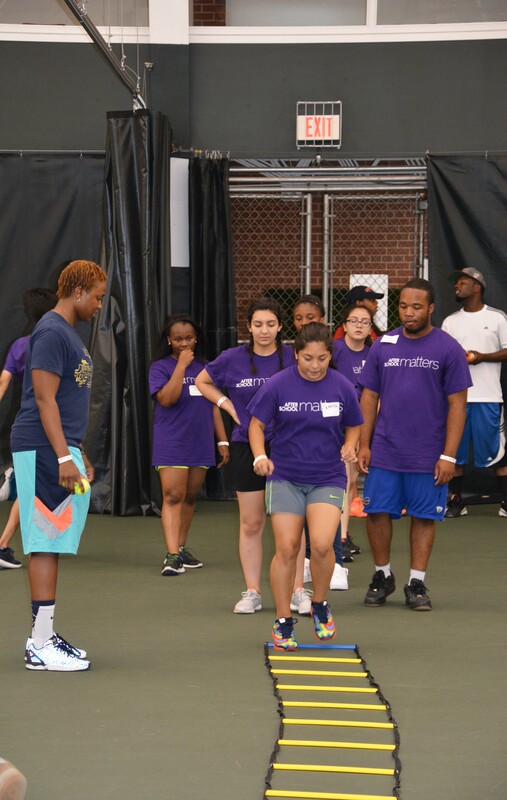 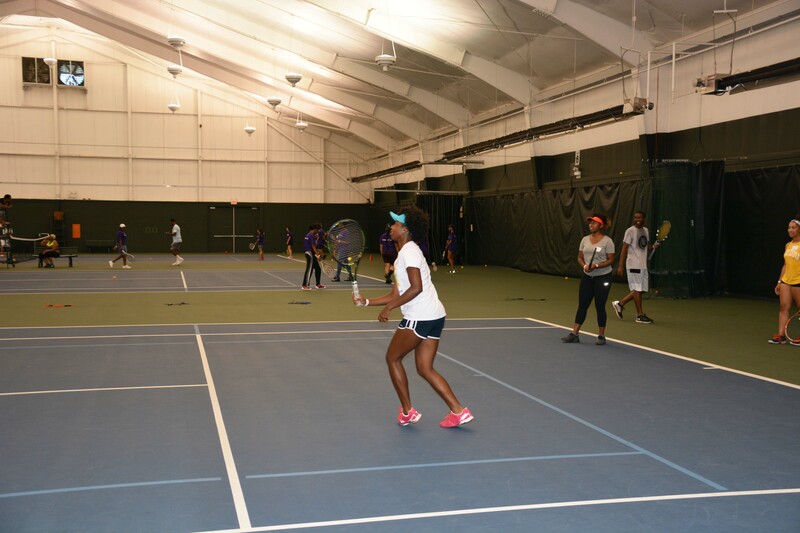 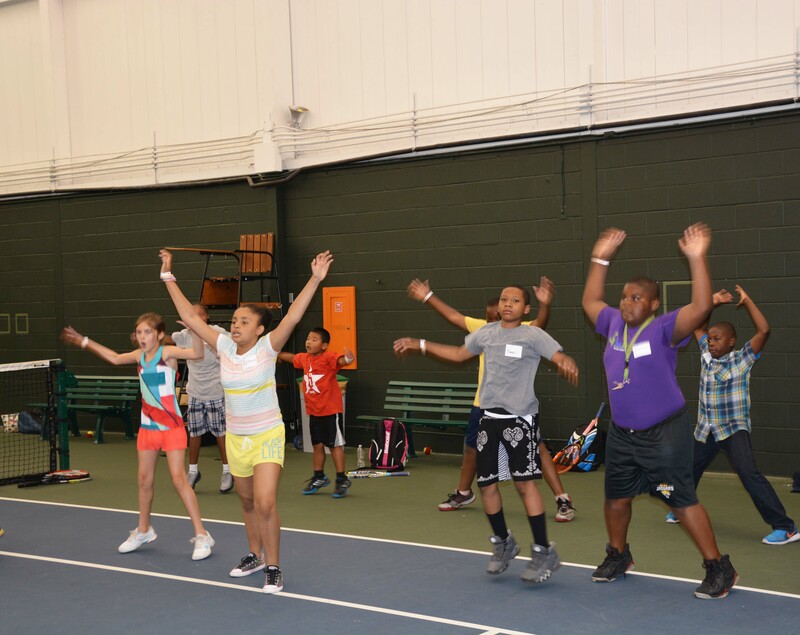 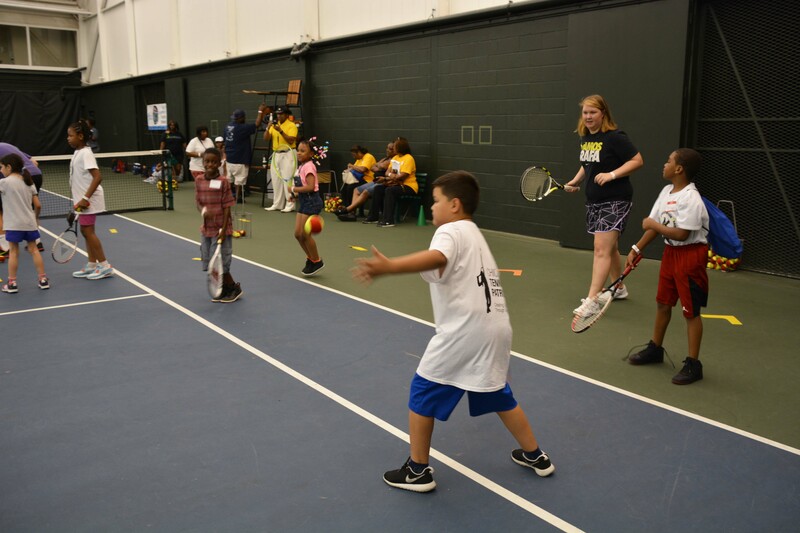 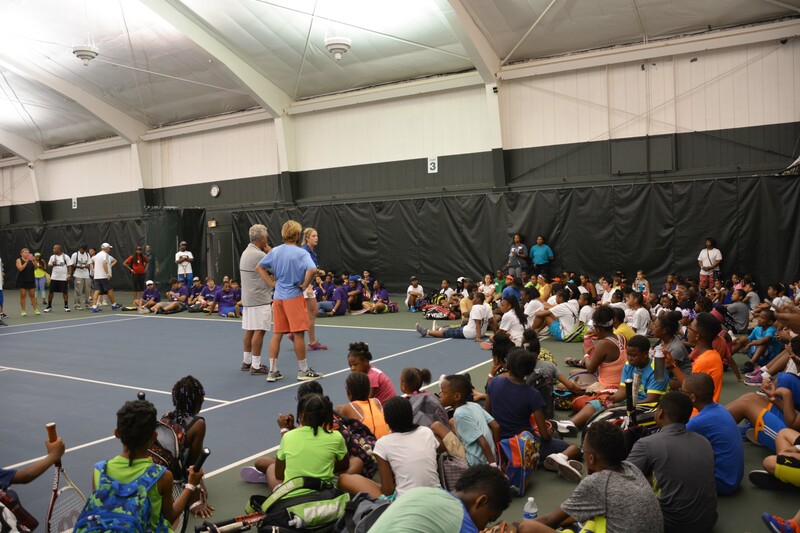 Approximately 170 kids enjoyed tennis drills and games and other activities and watched professional tennis matches. 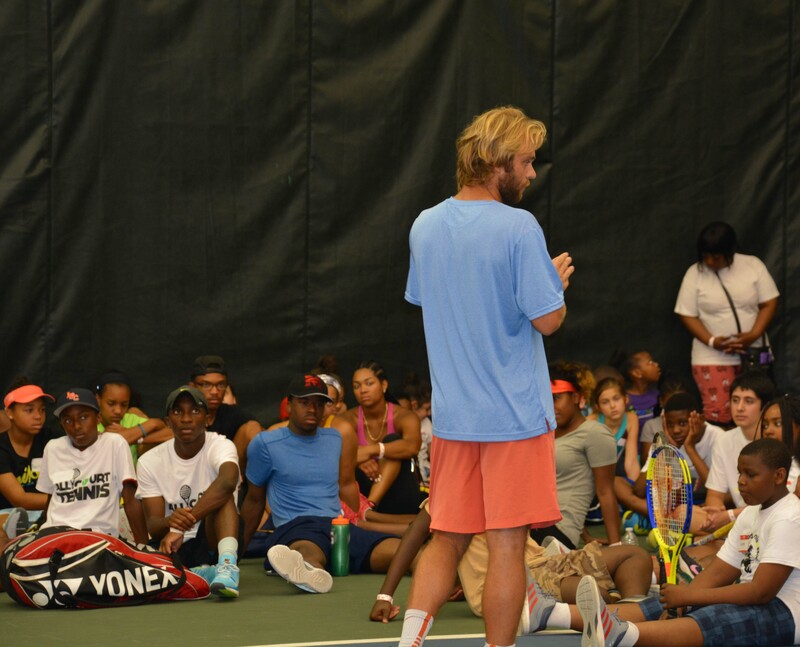 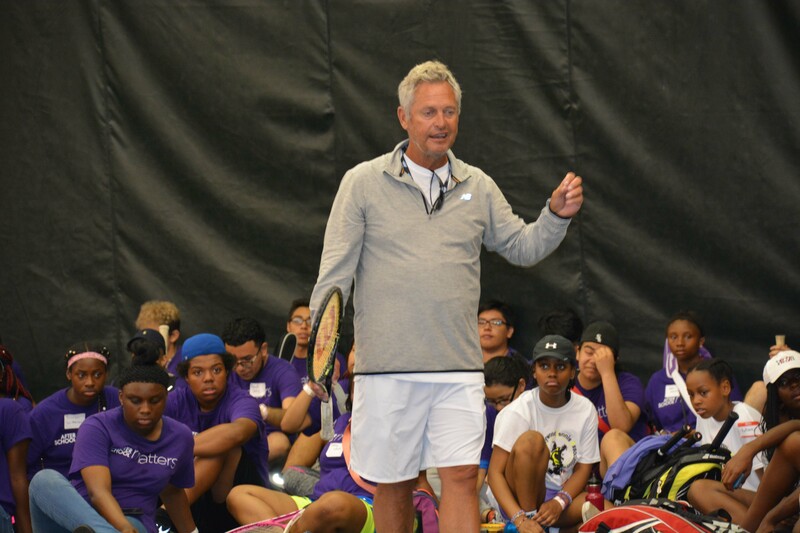 In addition, the kids heard from Tom Gullikson, USTA Lead National Coach, Men’s Tennis and Dennis Nevolo, Professional Tennis Player on what it takes to be a successful tennis player and the opportunities and fun the game presents as a sport of a lifetime. 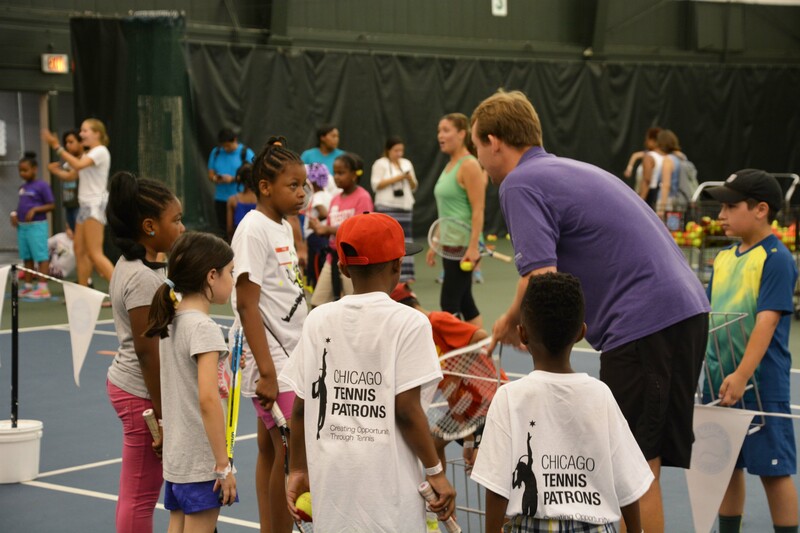 The kids and chaperones represented several organizations throughout the Chicago District. 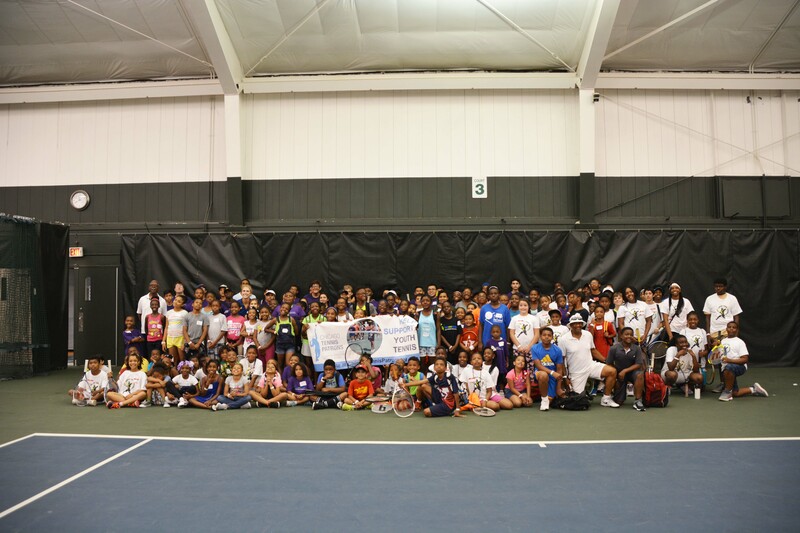 These were Maywood Tennis Association, The Ace Project, Drake Elementary School, Dawuad Talib Tennis, All Court Tennis, Rainbow Beach Tennis Club, Whiz Kids, and Love to Serve. 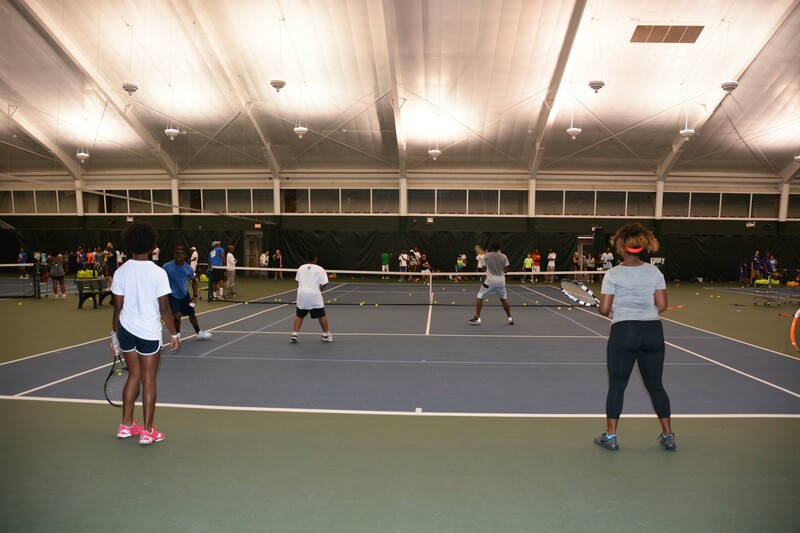 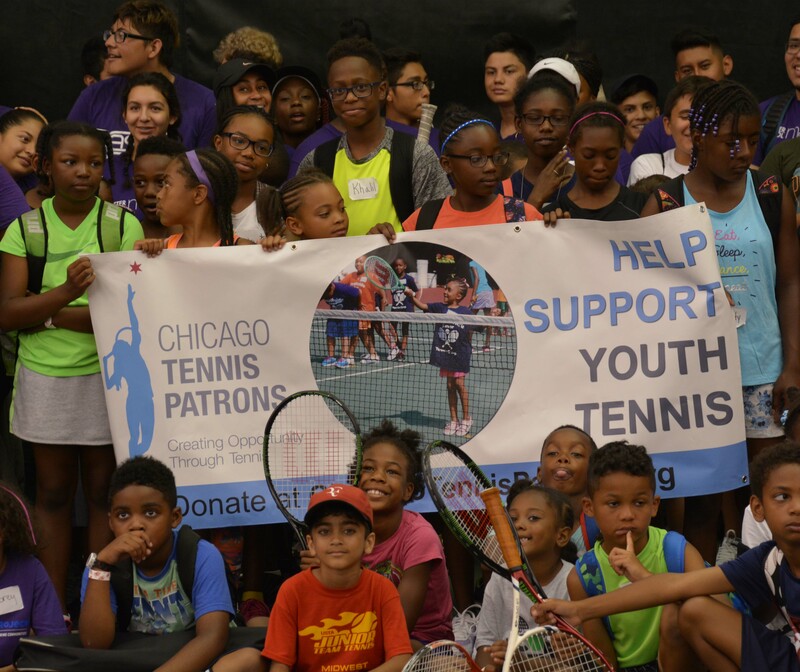 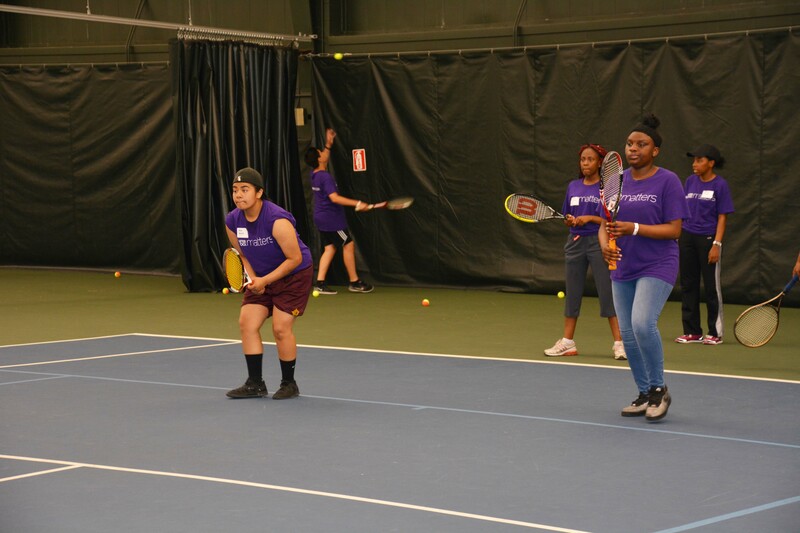 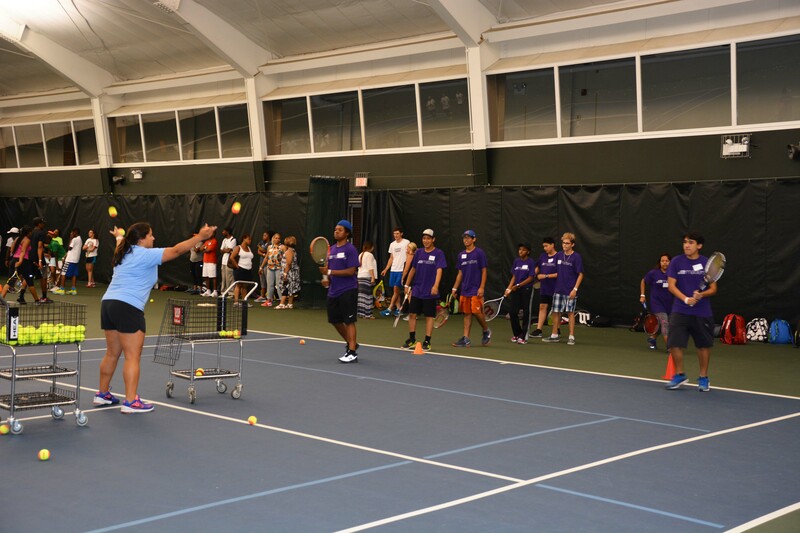 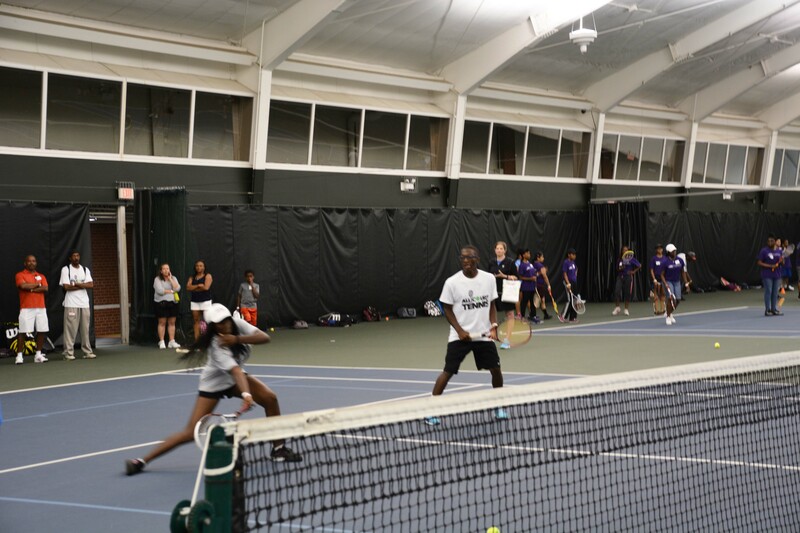 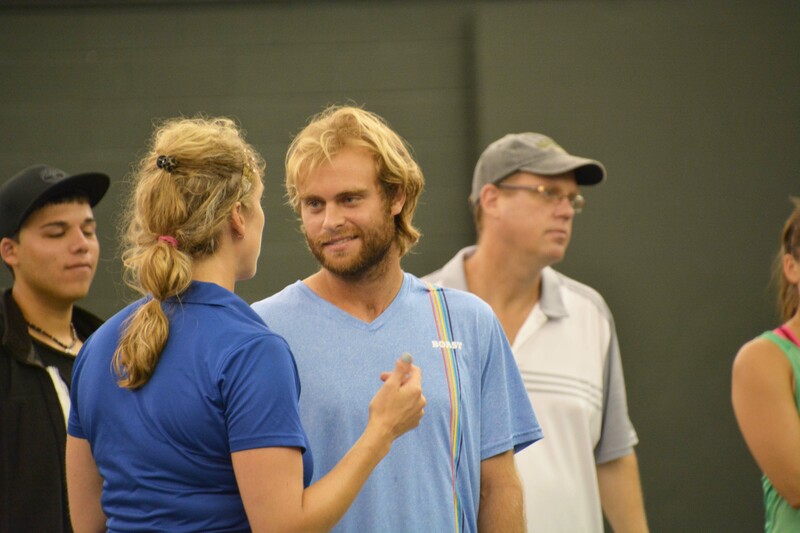 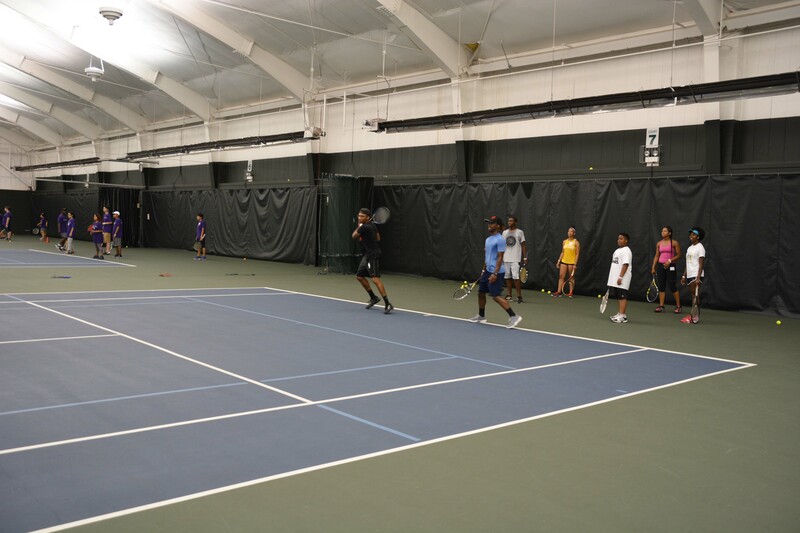 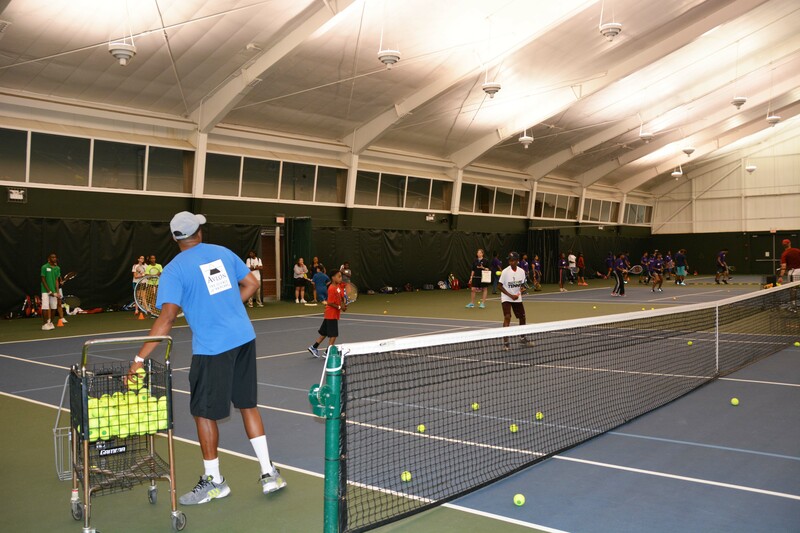 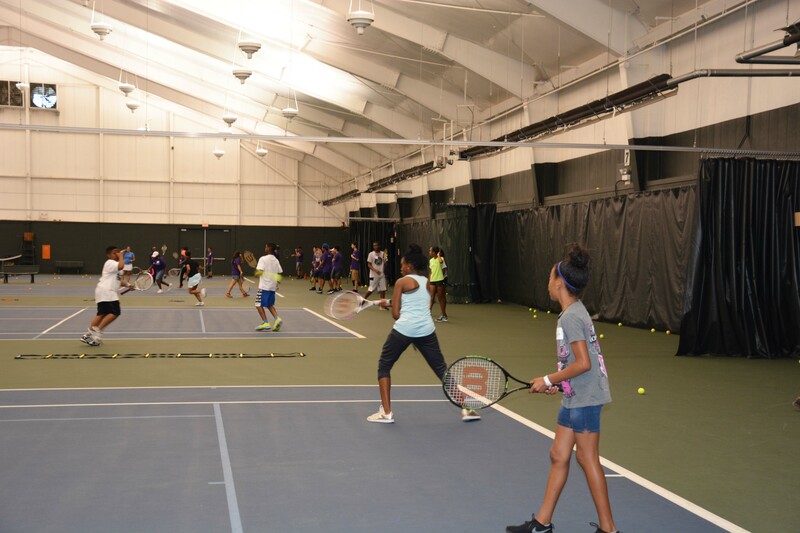 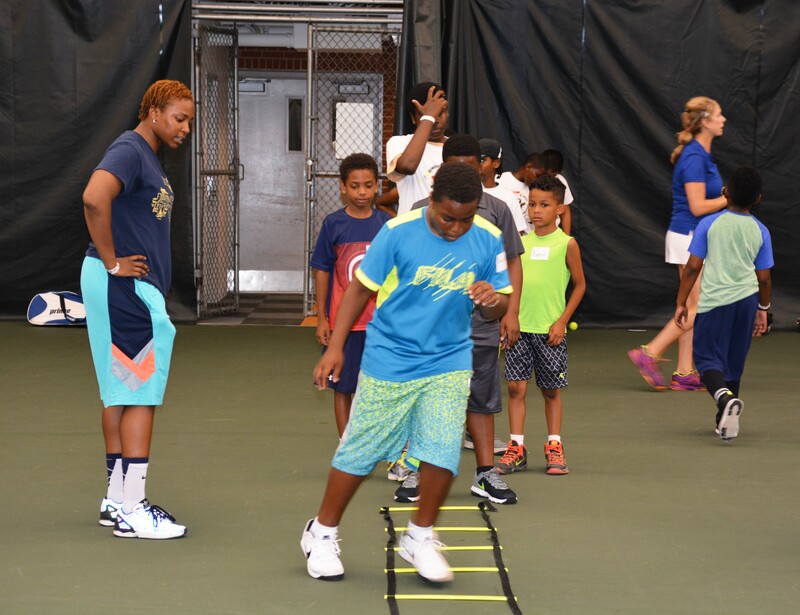 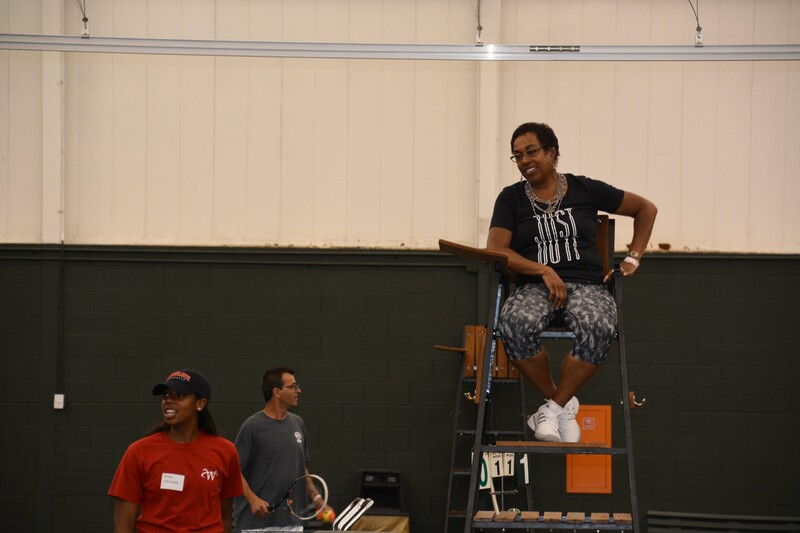 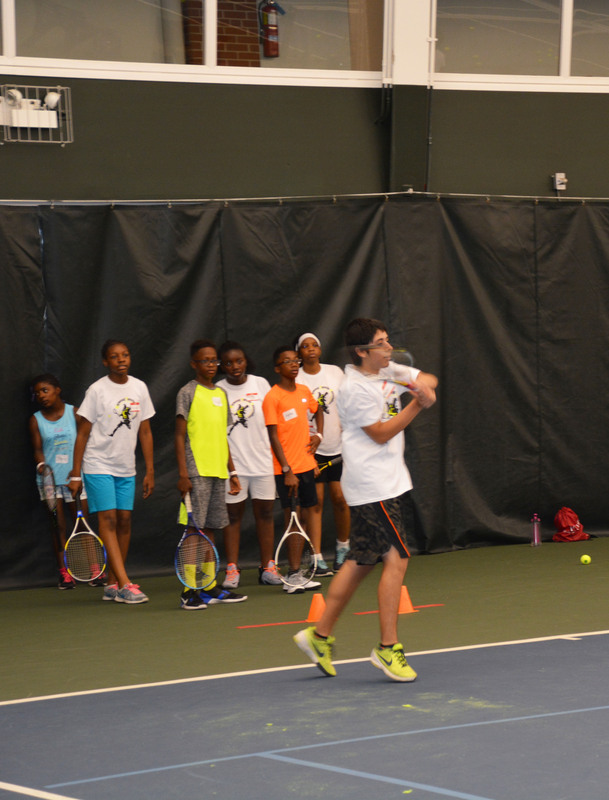 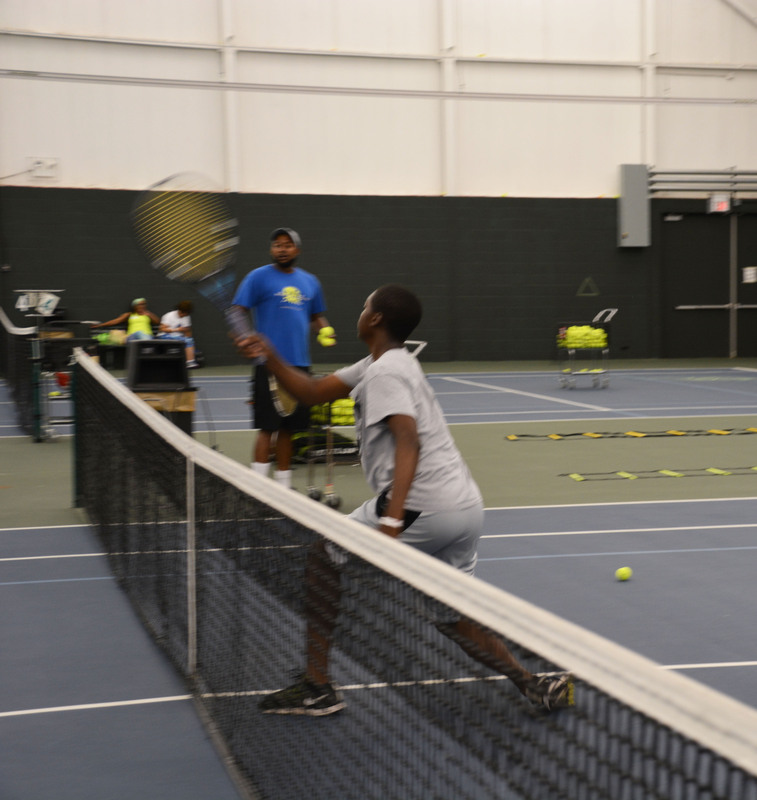 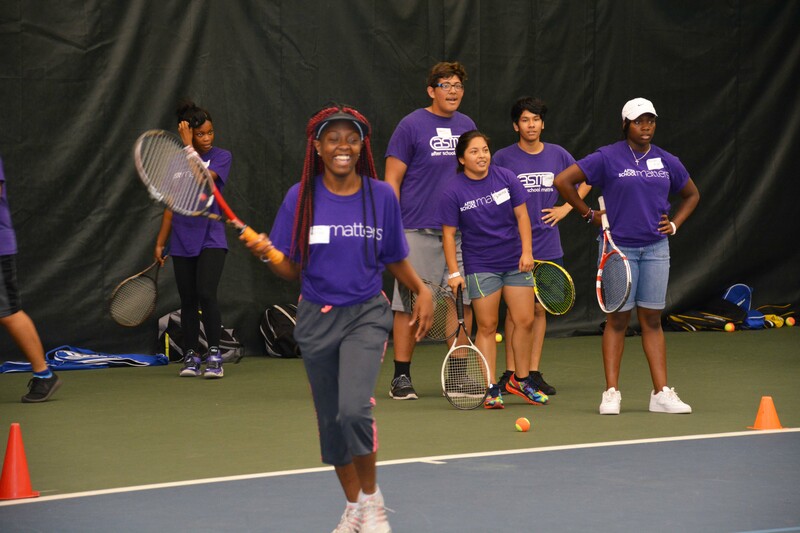 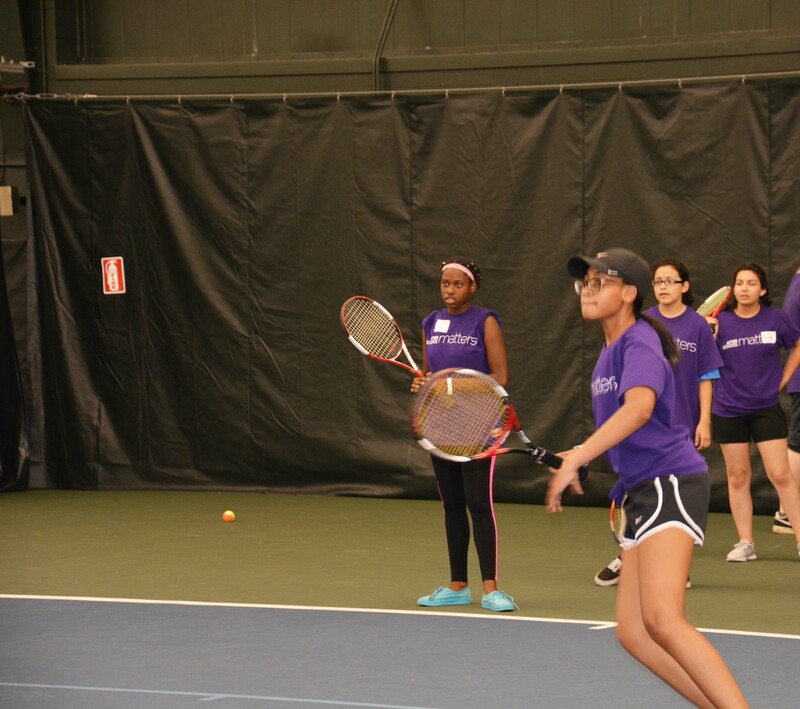 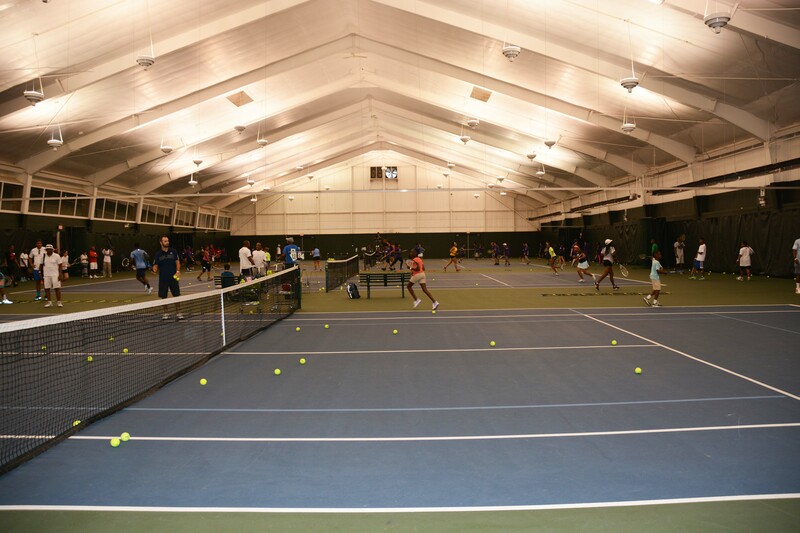 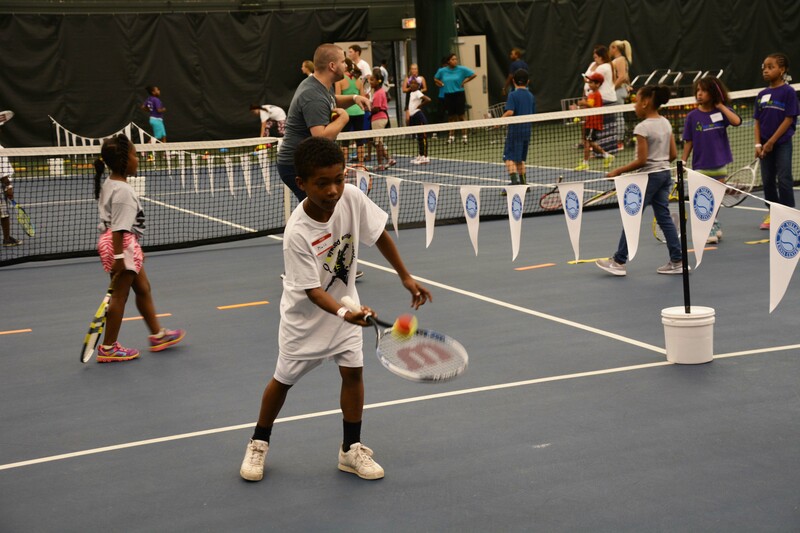 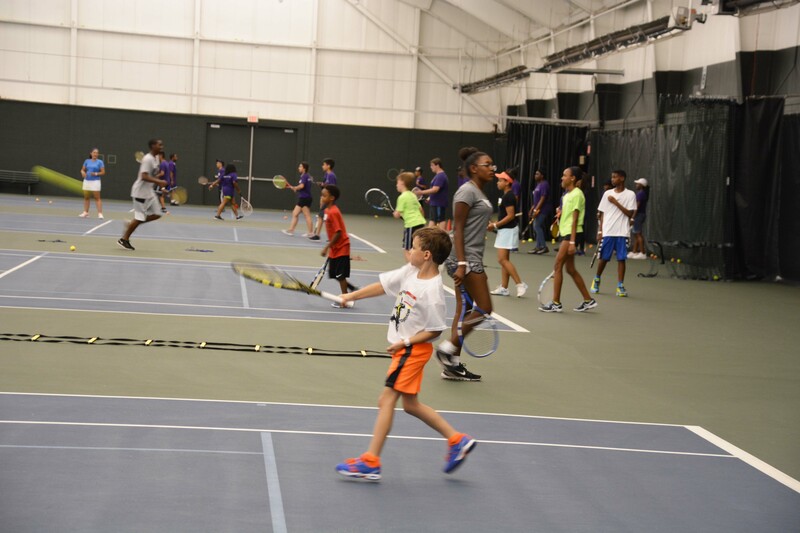 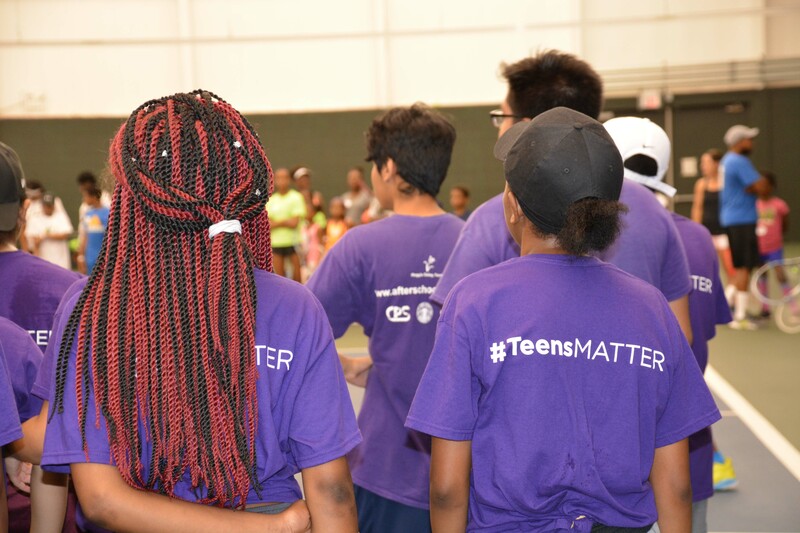 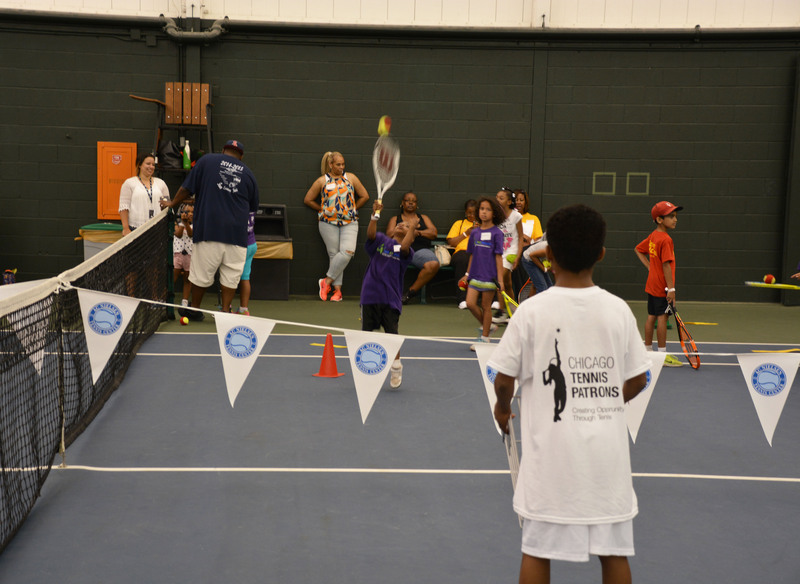 The Chicago Tennis Patrons provide grants to several of these organizations to help support their tennis programs for kids who might otherwise not have the opportunity to develop their talents and potential. 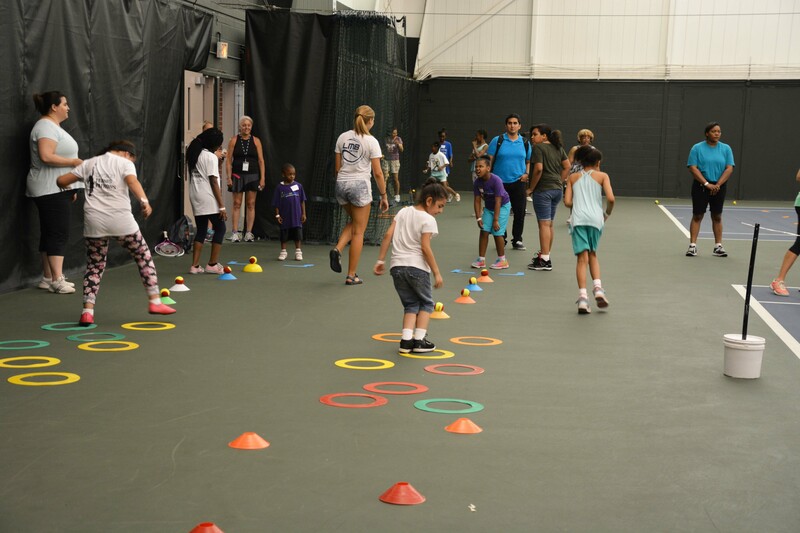 We thank Leah Friedman, Junior Development Coordinator, who organized the day and the coaches and other volunteers from across the district who helped to make this a special day for the kids.